The Little Shop Of Ltd was started by married couple, Jackie and Simon, in April 2009 to sell their unique 'Little Books' for storing jewellery. 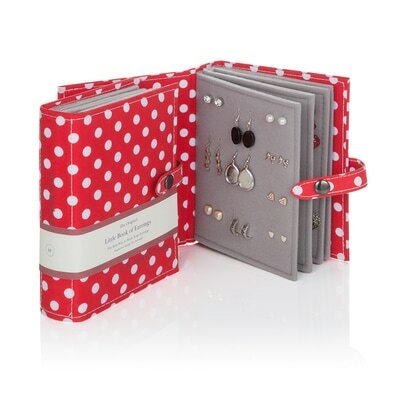 The books came about after Jackie had searched for years for a neat way to store and organise her accessories. 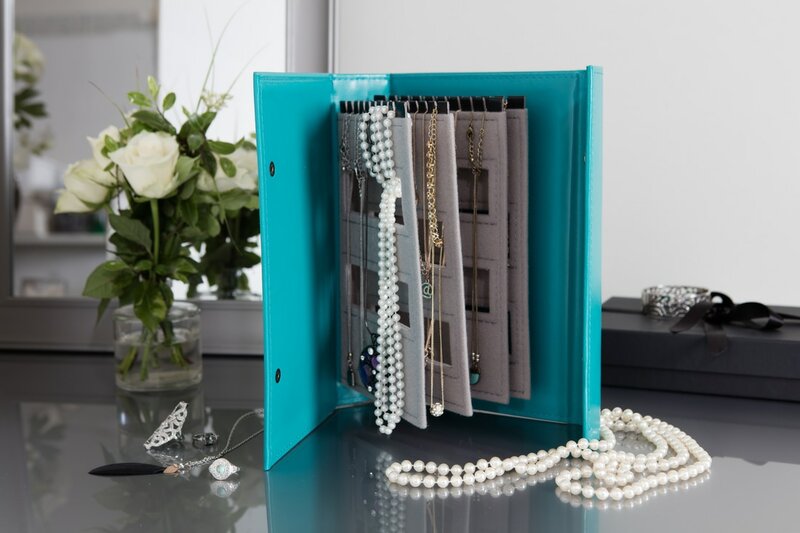 There are several good products available like earring ‘trees’ that will keep earrings organised but the drawback with these is that they have to stand on the dressing table or shelf. They were after something that would hold the earrings securely but could also be kept in a drawer for safekeeping, or when travelling, could be carried in a suitcase. 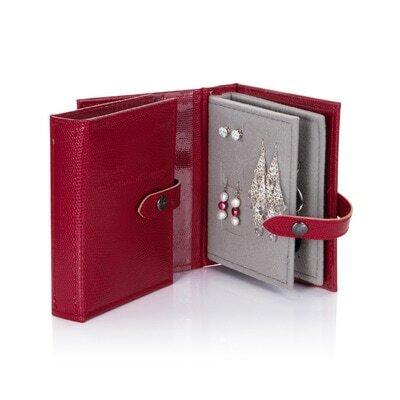 The Little Books are the ideal way to store jewellery in space efficient luxury. The hand crafted books are made using bespoke fabrics with soft padded pages to ensure accessories are well protected. Their unique design means jewellery never get tangled or tarnished and you can safely store even your most expensive items discreetly whilst always having them close to hand. It’s that time of year when everyone is talking about de-toxes. After indulging in some of the best food you’ve had all year, the media encourage you to eat cabbage soup and water until Spring. All this whilst returning to work, faced with nothing but dark winter nights and the knowledge that the next public holiday isn’t until Easter. In our opinion, it’s the worst time of year to go ‘cold turkey’, especially when we’ve still got Christmas leftovers in the freezer! However, there are other ways you can get the buzz and feel-good factor of a fresh start. Why not de-tox your home instead? Our advice would be to do small areas at a time. So if your bedroom is chaotic and you spend more time looking for your earrings than wearing them, why not follow up our step-by-step guide to de-toxing your dressing table? Place a white sheet on your bed and empty all your jewellery out onto it so that your entire collection is clearly visible. 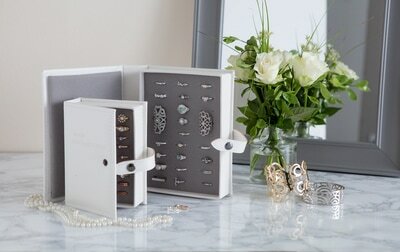 Now place all the jewellery that you regularly wear (more than once a month) into the container labelled “Keep”. Next sift through all the jewellery that is broken or has missing parts and place in the “Chuck” container. Now you need to get a bit more ruthless (and this is why we suggest to start small so that by the time you’re de-cluttering a large area, like the kitchen, you could challenge Phillip Hammond to a round of cuts). If there is anything that you have not worn for more than six months, has no sentimental or intrinsic value place it in the “Chuck” box. Place anything you are undecided about in the box labelled “Not Sure” to be tackled next. There are many reasons why an item of jewellery could fall into the “Not Sure” category. If it’s because it has sentimental value but you don’t like it, think about whether a close friend or family member might enjoy wearing it. If it is because the piece of jewellery is particularly valuable, then consider selling it (if this idea makes you feel guilty you can always donate the proceeds to charity). If it is because you genuinely can’t decide whether you like it then, place it in the ‘Trial’ box and any items worn more than once over the next month can be kept.